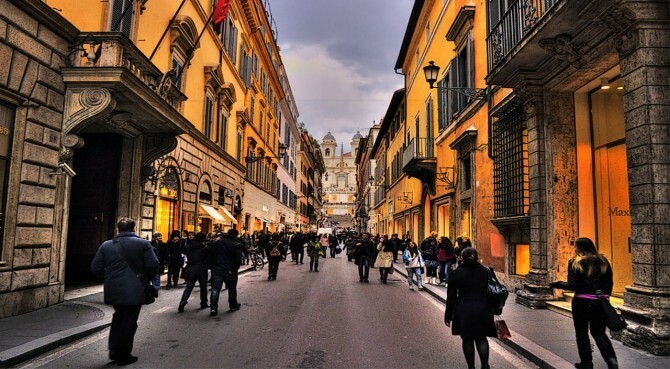 Rome is celebrating in a new charming way the theme of nutrion, main subject at EXPO MILANO 2015, combined to one of the best known facets of Made in Italy, that is to say fashion design. 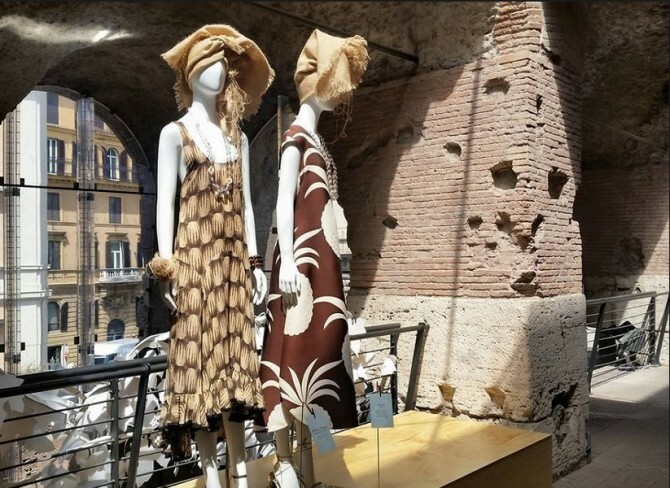 The brand new exhibit at the Trajan’s Market is focused indeed on the transposition of the link “nature & food” on embroidery, textures, dresses and accessories. The Elegance of Food. Tales about Food & Fashion is therefore a journey through yesterday and today’s haute couture garments by means of photographs, holograms, video mapping and visual-art following the four basic elements: Water, Air, Earth and Fire. The exhibit is open daily until November 1st, 2015, from 9.30 am to 7.30 pm. “Bellissima” is the italian word for “very beautiful”. 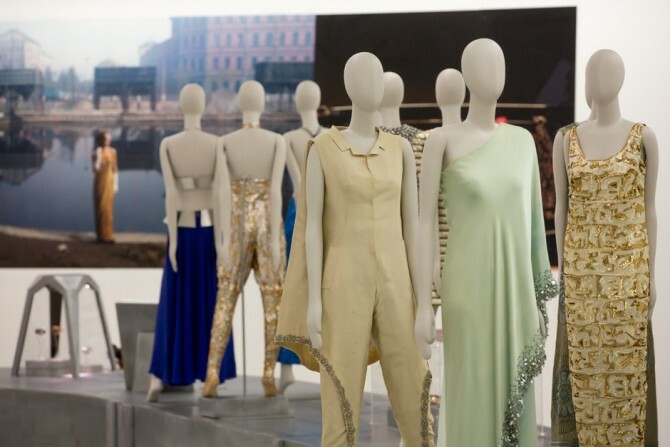 But until 3 May 2015 it specifically means Italy & High Fashion: Maxxi Museum of Rome has just launched a new exhibit entirely dedicated to Italian fashion designers of the Fifties and Sixties. That was indeed the time when, moving away from French trends, iconic figures such as Valentino, Sorelle Fontana, Balestra, Gattinoni elaborated an original Italian way to conceive fashion. That was the time of Dolce Vita, the time when a rule-breaking artist like Andy Warhol defined Bulgari boutique in Via dei Condotti (just opposite to the Spanish Steps) the most beautiful museum of contemporary art in the world. Where: “Bellissima: Italy and High Fashion 1945-1968″, Maxxi, via Guido Reni 4a. When: every day 11am-7pm, Saturday 11am-10pm, Monday closed. You can access Maxxi Museum with the Roma Pass, if you have it. 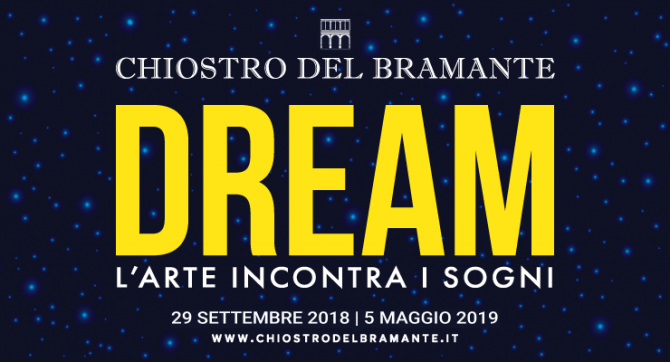 Ask Yes Hotel staff for info on tickets and directions (from Termini station buses & metro available).